…Slept in, 7 am, Kathy gets up at 8, we have breakfast, they find her decaf coffee which she left at the table yesterday morning. Very hard to find decaf at restaurants in Costa Rica so she has to bring our own to breakfast. 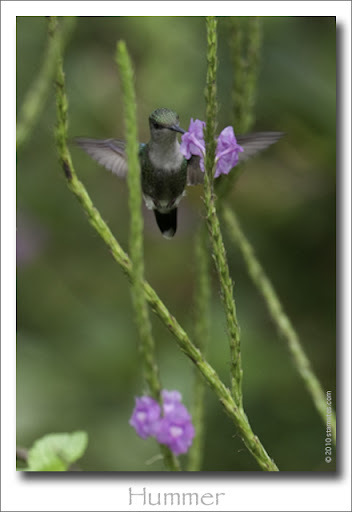 Off to Braulio Carrillo NP to look for hummingbirds at a closed butterfly garden not far from the entry. We meet Miguel, he just started a guide company, Agouti Tours? We will hike with him manana. He tells us of Bat Falcons near Toro bridge. 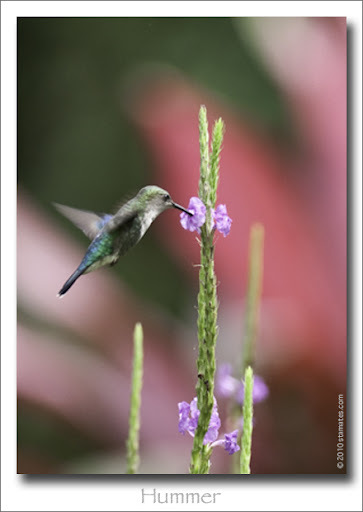 But first we must find the hummingbird place that has become very popular for snowcap and the black-capped coquette. We find it and the snowcap but no coquette. Probably too late in the day. 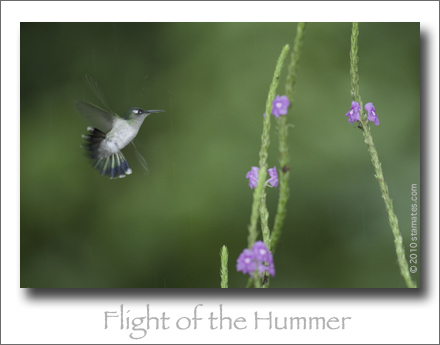 Photos of hummers here are difficult because flowers are everywhere and the hummers dart from one to another in no particular order. I don’t set up hummingbird shots with multiple flash, bait, or backdrops. I enjoy the challenge and skill of shooting on the fly. I don’t get as many keepers but it sure is fun! Hiked around and found some leaf-cutter ants to photograph. Did you know that they don’t eat the leaves? They mulch them up and use them to grow fungi (mushrooms of sorts) and eat them. Can you believe that! They cultivate a farm, and grow their own food! Found the bat falcons, got some lousy pics, bad lighting. This one had just finished eating another bird. 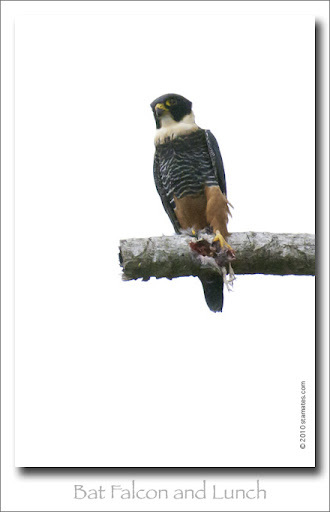 You can see the legs dangling from the left talons. To learn how you can join Adventure Costa Rica 2011, email here!